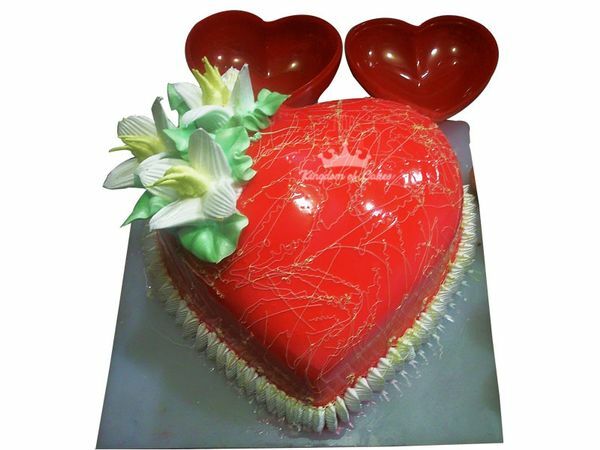 Unsurprisingly irresistible to ignore the magic of this Red Crush Burst Hearty Cake you’re your Anniversary and Valentine. The challenge is that we are sure that you order on either of the occasions but you will repeat the same one again. Voluptuous gigantic in sugar depth with edible yellow lace artwork on the glittery topper and white lilies waiting on the corner dock to appreciate them as well. Do not wait for another minute and order this Red Crush Burst then and now.